Do you know more than Jon Snow? 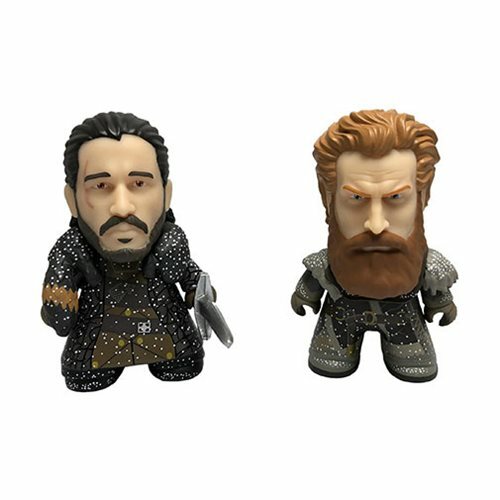 Bring home the King of the North with this Game of Thrones Jon Snow and Tormund Snowy 3-Inch Titan Vinyl Figure 2-Pack - 2018 Convention Exclusive. Each measuring approximately 3-inches tall, this Game of Thrones duo come packaged in a window display box. First available at the New York Comic Con 2018 Titan booth.